Paul J. Constantine serves as Associate Dean of University Libraries for Distinctive Collections and Director of Special Collections at the University of Washington. 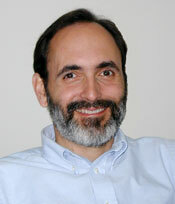 He has been an Associate Director/Associate Dean of UW Libraries with a variety of portfolios since 2002. Before coming to UW, he served as Head of Reference Services for Cornell University’s Olin•Kroch•Uris Libraries, Cornell’s main humanities and social sciences libraries, for seven years. Before that, he spent eight years as a Reference Librarian and founder of the Electronic Text Center and coordinator of Computer-Assisted Reference Services at Yale University’s Sterling Memorial Library. Constantine has BA and MA degrees in Theatre and Drama and is ABD with a focus on 19th Century American Theatre and Drama at Indiana University. He completed his MS in Library Service at Columbia University.